OK, I’m on a gardening lark at the moment. Here’s how to make a selfwatering container. Mosaic the outside and that’s a very cheap pot. You would have to score the plastic a little so that the adhesive has something to hang onto. 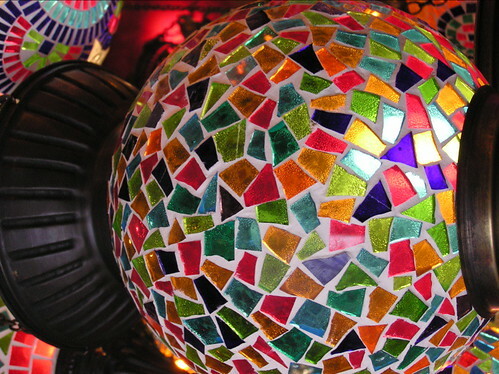 Papier Mache strikes me as being a potential construction medium especially for indoor 3D mosaics. 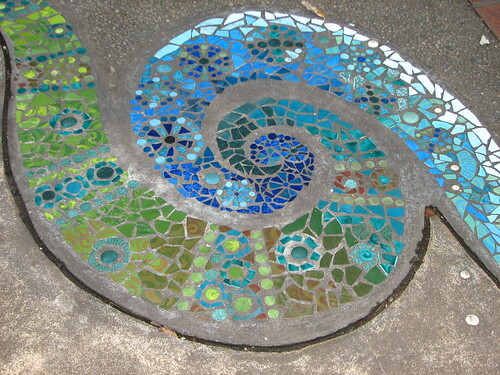 This site is a fantastic resource with great papier mache recipes and tutorials and interesting articles such as “Waterproofing Papier Mache” which has more than a little relevance to mosaics in its observation of the performance of different sealers in the outdoors. 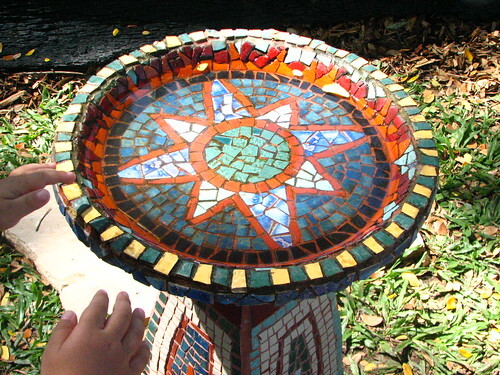 birdbath bowl, originally uploaded by GeoWombats. 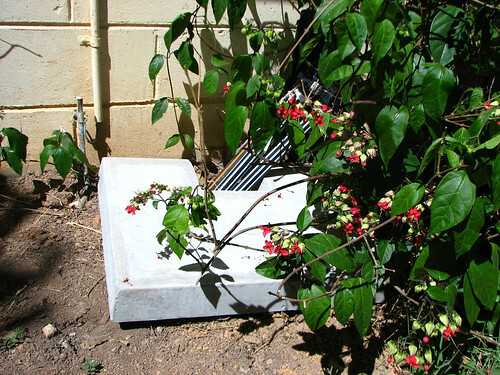 Every year Darwin has a tropical garden spectacular. I took the kids today and while there I came across this very cute birdbath. No idea who the artist is. A lot of people commented on it as they went past. 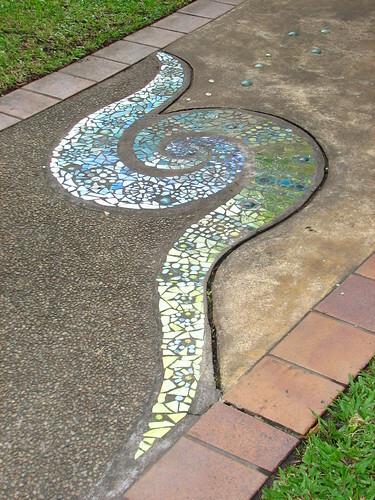 It was the only mosaic thing I saw there! 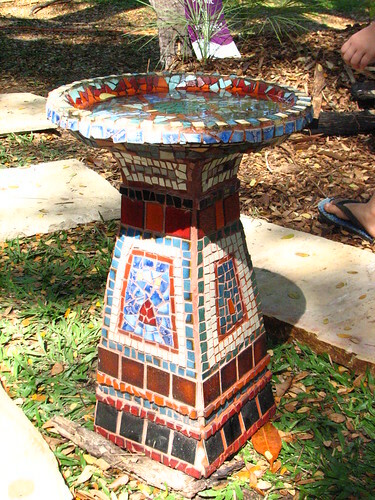 I hadn’t thought about doing a birdbath up to now but now I’ve put one on my mental list of future projects. 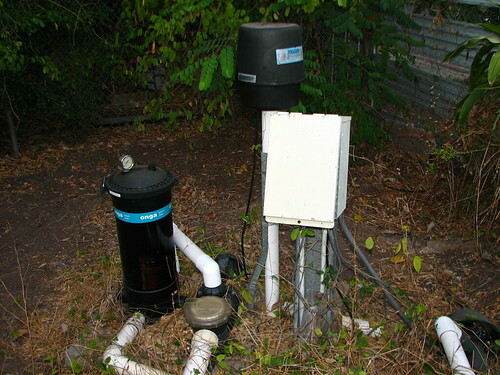 birdbath base 2, originally uploaded by GeoWombats. 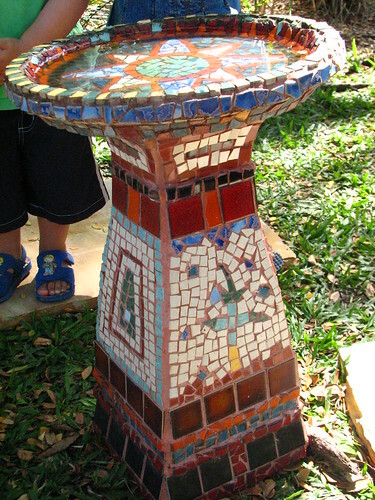 birdbath base, originally uploaded by GeoWombats. Spa box, originally uploaded by GeoWombats. I have been trying to think of something I can mosaic onto the spa box casing and I think I have finally hit on something. The Rainbow ancestor of Maori culture. Many years ago I saw the Te Maori Exhibition in Dunedin and there is something very special about the Uenuku carving that was present. So I was thinking the Uenuku figure maybe with a rainbow in the background. which has some elements in common with what I was thinking although isn’t exactly the same. I’m wondering what to use for tesserae. This may be a good opportunity to use some of the stained glass I have which should be a bit lighter. And mosaic mesh probably isn’t a bad idea. I’ve drawn the basic cartoon out so far in pencil. mosaiclight, originally uploaded by justineflow. These lights can be found in Turkey. Great idea for those awful round ball globes. I have one in my hallway that could do with being attacked. Guess that can be a future project when my glass cutter arrives! Spiral, geometry of life, sacred creation…"
Hairy embryo, originally uploaded by Tsjeu. Fento, originally uploaded by Bryonia. Koru: The inspiration of my new tat, originally uploaded by amitylane. Spirals, originally uploaded by GeoWombats. Now I just have to work out a way of doing it. At least its something that's easy to doodle in idle moments. Yes, the ideas are outsprinting the skillbase and materials at present but you have to dream about these things.